Before I begin, take a closer look at the photo above Greg’s head on the back wall. A funny accident. We couldn’t quite figure out why it was there – perhaps to always remember the brothel days? Maybe one day I’ll blog during normal business hours. For now, I fit it in when I can and that means after everyone goes to sleep. Daniel’s a good sport about it and sleeps right on through the sound of my typing. 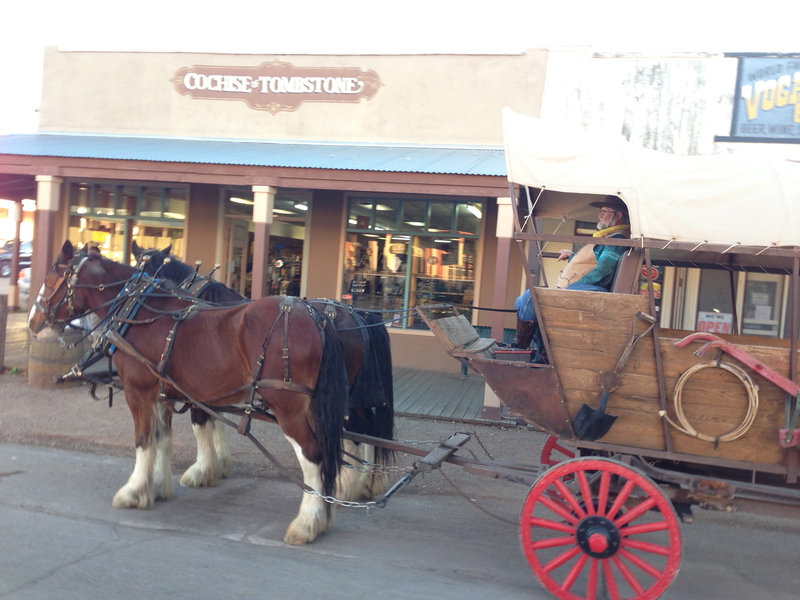 Tombstone is an old historic western town that has been preserved and converted into a respectable tourist location. There isn’t so much as a Walmart within 30 miles of the town, but somehow it stays alive with people who actually live and work there. Brave souls. To give you an idea of the seriousness of the old western vibe, below is a photo of our bar tender at Big Nose Kate’s Saloon – the saloon named after Kate, the woman who couldn’t keep her nose out of everyone else’s business. There were tons of people decked out in western wear. 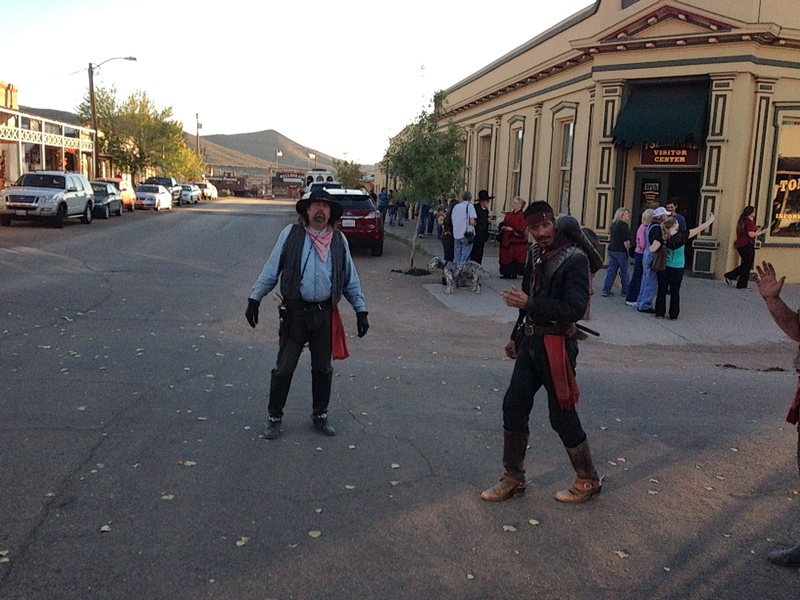 We had to be discreet about snapping pictures because it was difficult to discern who was dressed in costume for one of the town’s many gun-fight and bank-robbery shows and who was just dressed “normally.” By normally, I mean ridiculously. Greg treated us all to a horse and buggy tour around town – we could feel the jealousy exuding from all the second-class tourists on foot. I’m kidding of course, however, it did feel pretty rich in the leather interior of the stage coach! It doesn’t take long to get your Tombstone fix, so when we were done at the Big Nose bar we headed to Johnny Ringos, a local unassuming gem I found on Trip Advisor (LOVE this site). 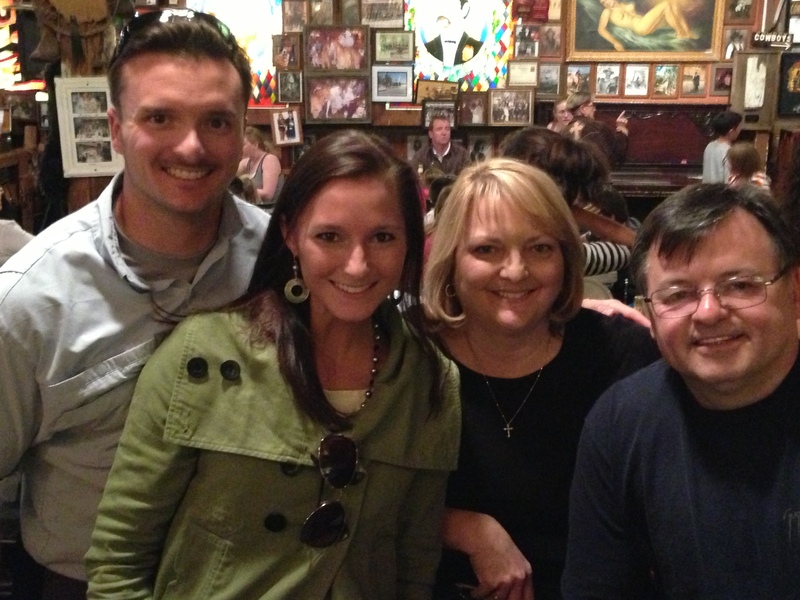 Daniel and I have been there three times now – we get the same thing each time. Daniel loves the half-rack of St. Louis style ribs and french fries while I am partial to their fresh avocado salad (and plenty of Daniel’s fries). celery adds surprising layer of flavor and texture! I especially like this salad because it doesn’t come with or need any cheese. The mandarine oranges are so juicy, the avocado is ripe, the greens are GREEN and the celery and peas are such a nice (and different) touch. Even though you could eat this salad without any dressing at all because it’s so flavorful and fresh, the fat-free raspberry vinaigrette is very good. 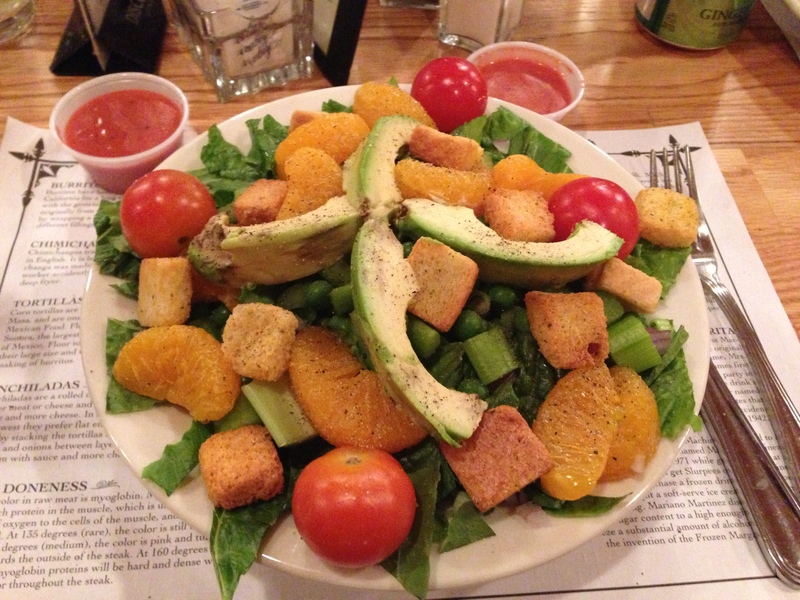 The only way you could make this salad any healthier is to remove the croutons. 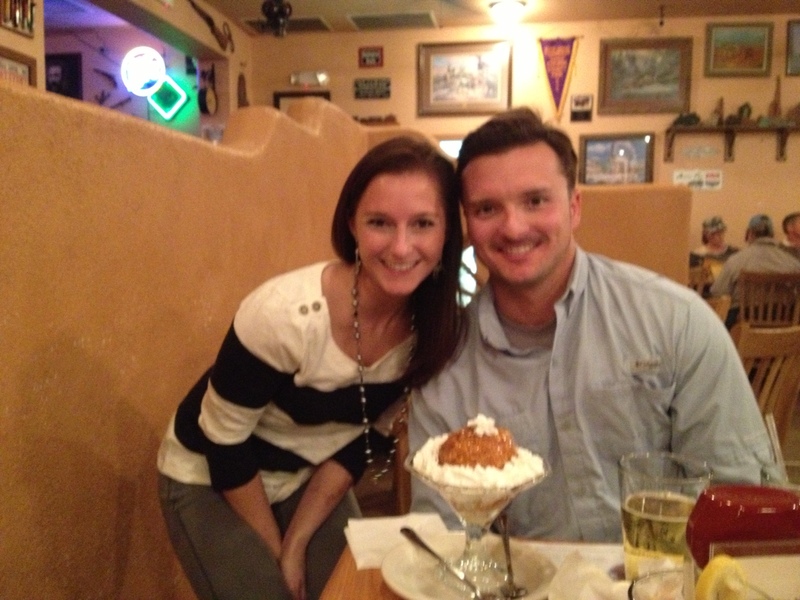 Daniel’s 28th birthday is tomorrow (today, technically) so he ordered his favorite Johnny Ringo’s dessert: fried ice-cream with honey and whip cream. It’s hard not to like the sound or taste of that! Previous post ← Blessed Holiday!